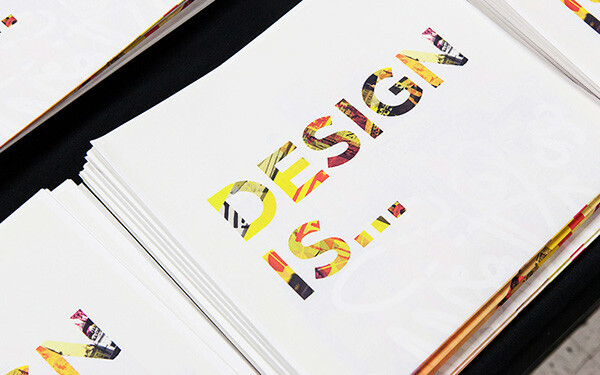 To learn more about this project, check out the Case Study: Design Is... on the national AIGA website. 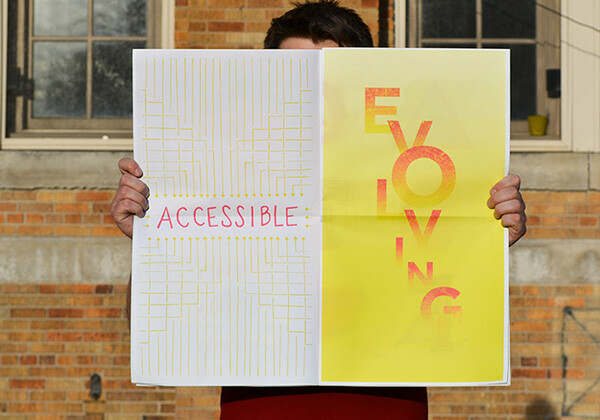 Our project was also featured on our local AIGA chapter's website, Design Work Life, and For Print Only. 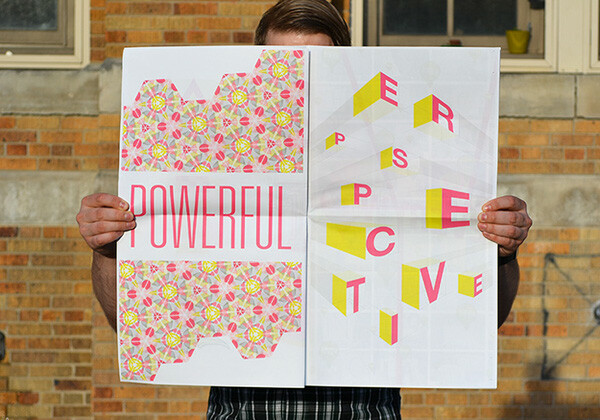 Under the leadership of Monina Velarde, our Spring AIGA Mentor Program group (Amanda Amyx, Buddy Boor, Diba Salimi, Kaity Li, Katy Dondzila, Shannon Delaney, Kelby Hawn and myself) agreed on the objective of creating a newsprint piece aimed toward high school students in the Chicago area. 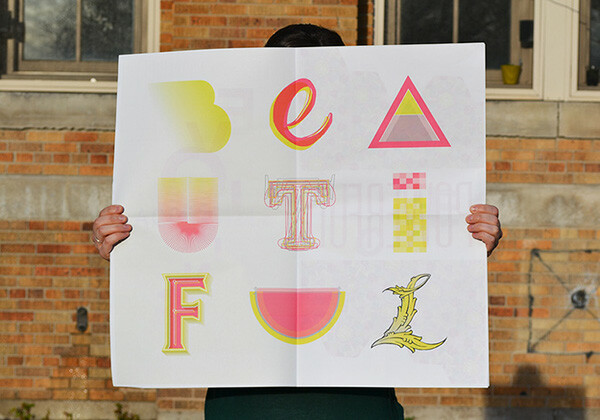 The objective of the piece was to design 11 illustrated words that communicate what design is for viewer who may be interested in design as a career path, the design community, or looking for design resources. 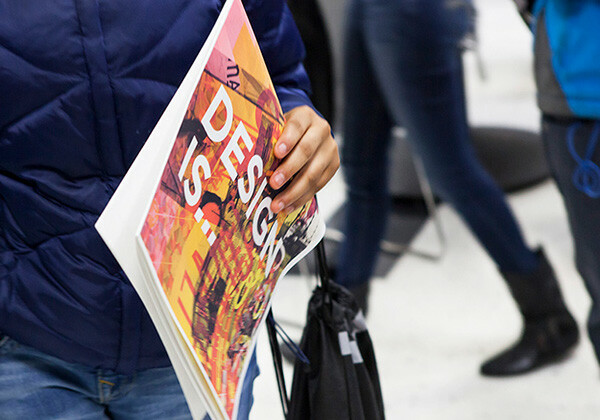 Several of the members of our group (I was unfortunately unable to help) presented our project and worked with high school students as a part of the Design Youth Forum. 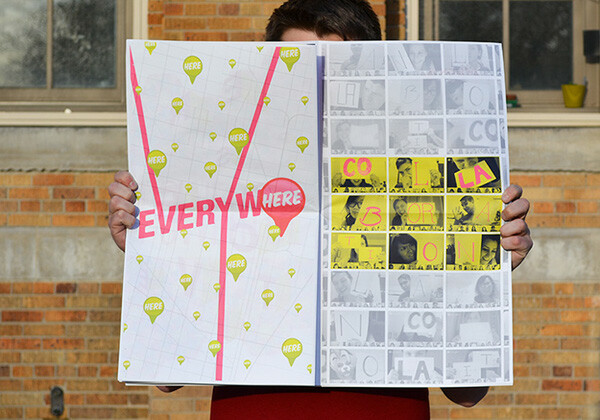 This was a great place to share our project. 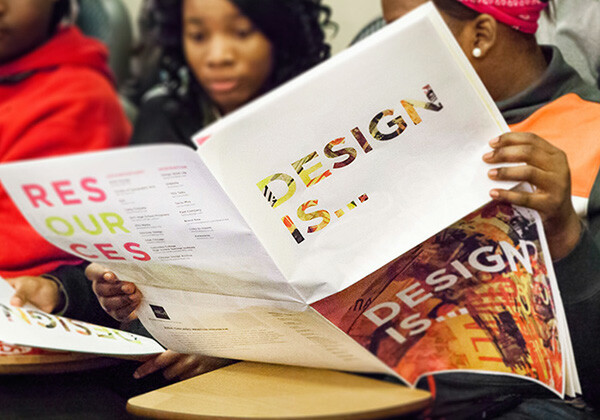 The Forum is an all-day event that brings together 100-plus high school students from the Chicago Public School District to participate in design-focused workshops. 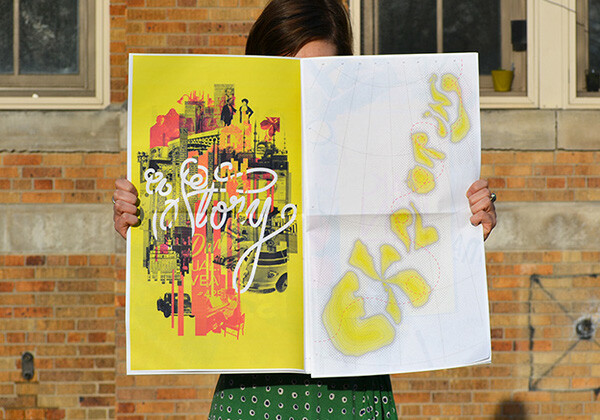 To learn more about this project, check out the Case Study: Design Is... on the national AIGA website. 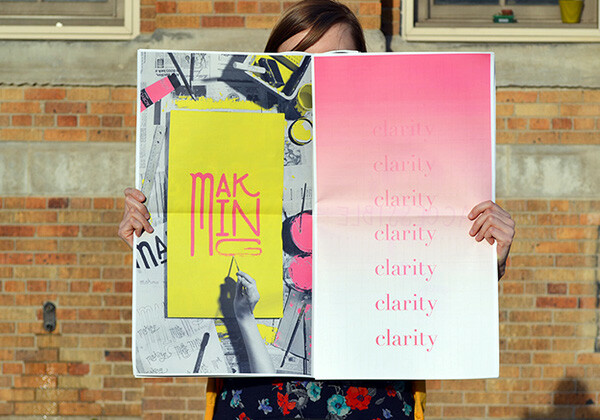 Our project was also featured on our local AIGA chapter's website, Design Work Life, and For Print Only.